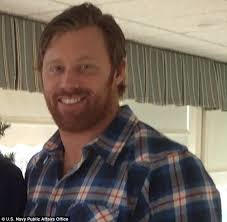 Navy SEAL SO1 William "Blake" Marston - Run for the Fallen New Hampshire, Inc.
William “Blake” Marston was a 4-year-old student at the Bedford Montessori School, the teacher told his parents that he had to learn that not everybody in the world was as kind as he was. 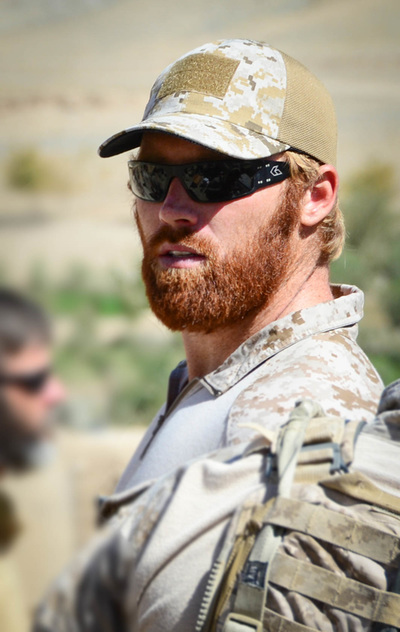 Blake, who grew up in Bedford, would never lose that tenderness and sensitivity, even though he would go on to become a member of one of the U.S. military’s most elite forces as a Navy SEAL. “He toughened up, but he still stayed kind,” his tearful mother, Nancy Marston, said. Blake has been described as "the kind of guy you'd want your children to be around". He was an accomplished athlete starting with Bedford Little League, soccer league and Manchester West Raiders football team. One of Blake's most cherished memories was being the 3rd baseman in the 1995 Bedford little league State Championship team. He was also the captain of the 1997 New England Championship Babe Ruth team, which went on to the World Series in Albany, New York. As a high school student at Derryfield School in New Hampshire, Blake threw eight no-hitters, served as captain, and was a three-time all-state player, school officials said. 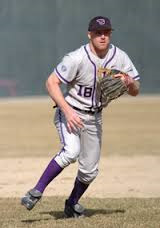 He played second base at Stonehill College, where Coach Pat Boen said in his 18 years of coaching, Blake was one of the best he’s ever seen. 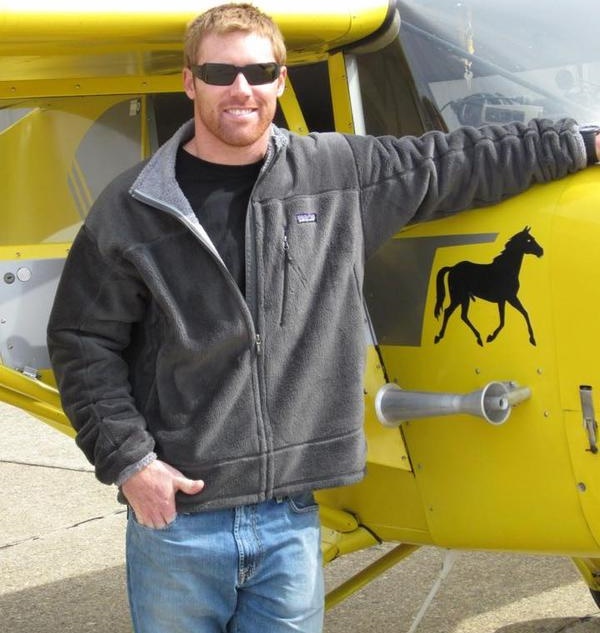 “He was a tremendous athlete,” Boen told WBZ NewsRadio 1030. 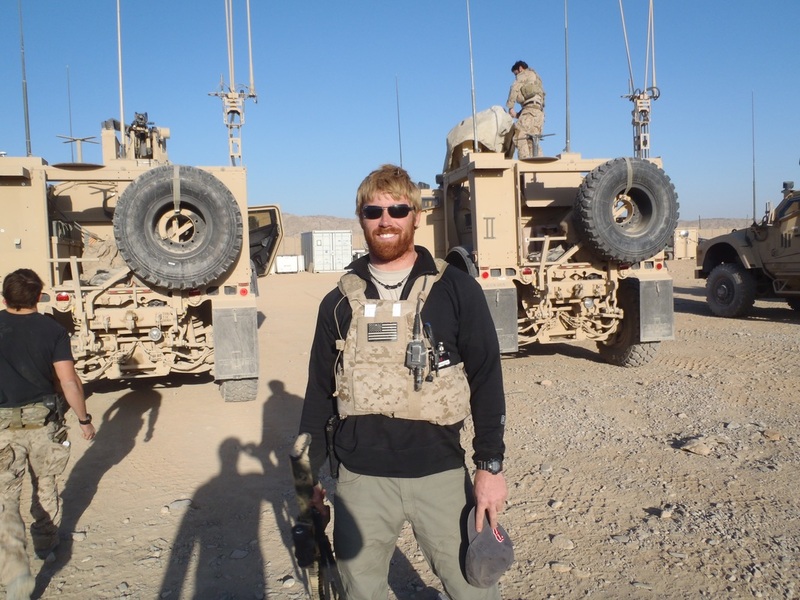 “There was no challenge that was too big for Blake.” Boen said Blake always pushed his teammates, and that made him a good fit for the Navy SEALs. Blake graduated from the Derryfield School in 2001. 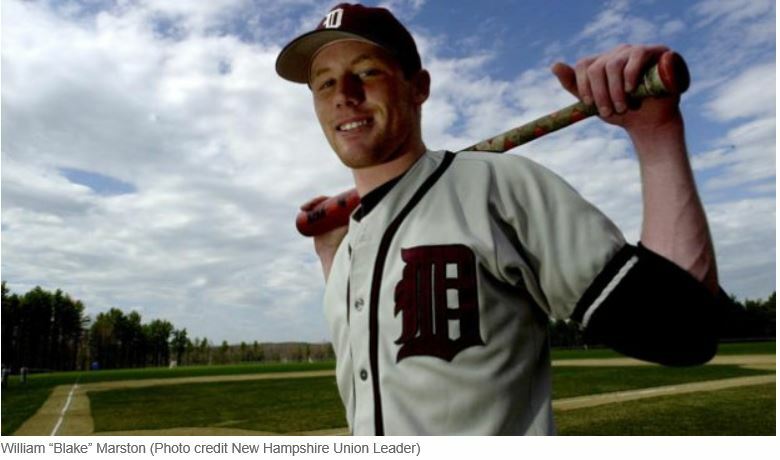 He continued his education and sports career, completing a post graduate year at Northfield-Mount Herman School where he played football and baseball. 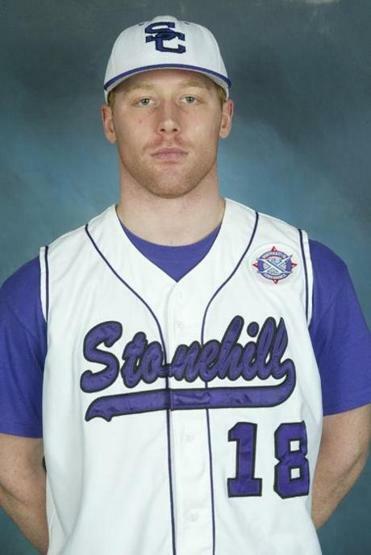 He then graduated from Stonehill College in 2007 with a degree in Criminal Justice and successful baseball career. 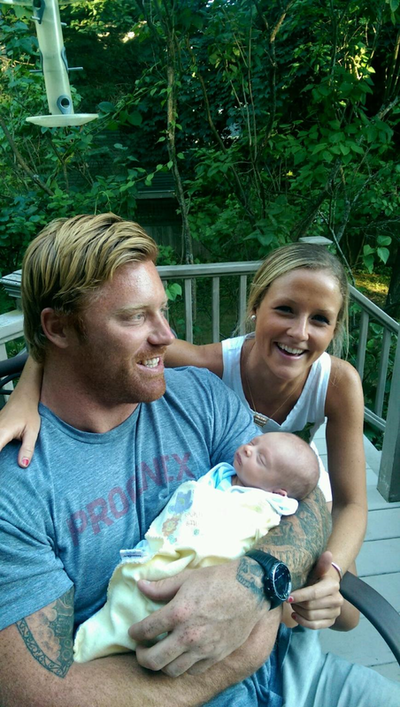 Blake was an avid CrossFit athlete who enjoyed competing and working out with his girlfriend Christine Clark. He had been in a year-long relationship with Christine. The couple had been talking marriage, both she and Mrs. Marston said. They, along with his parents and sister, just spent a week together over Christmas skiing in Breckenridge, CO. Blake, Christine said, was really into fitness. “He went above and beyond, truly. His passion was to keep himself healthy and well. “He was funny and very witty, Christine said, always ready with a comeback. “He was incredibly smart, patient with me — a great guy who was always willing to explain and help out,” said Christine who is a marathoner. Blake, she said, was her trainer and always pushed her to get up and get out, go hiking or to the beach. Blake was close to his family. One cousin recently became a father and Blake flew in one weekend last August so he could see the baby, his mother said. Blake died doing what he loved most being a SEAL. Family and friends remember him for his beautiful smile, loyalty, steadfast motivation and determination. 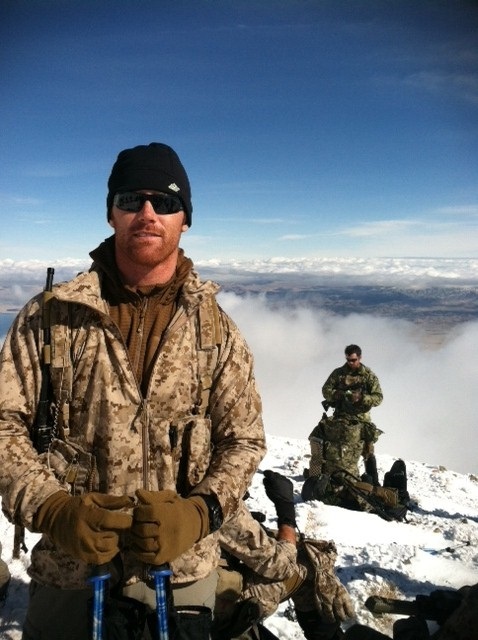 Blake completed SEAL Training in 2009. He was assigned to an East-coast based SEAL Team, and served in the Navy for six years. His awards and decorations include the Joint Service Commendation Medal, two Navy and Marine Corps Commendation medals with combat “V”, Army Commendation Medal, Combat Action Ribbon, Presidential Unit Citation, Good Conduct Medal with Bronze Star in lieu of second award, National Defense Service Medal, Afghanistan Campaign Medal, Global War on Terrorism Expeditionary Medal, Global War on Terrorism Service Medal, Sea Service Deployment Ribbon with Bronze Star, NATO Medal, Navy Expert Rifle Ribbon and Navy Expert Pistol Ribbon. He is survived by his girlfriend, Christine Clarke, parents, Bill and Nancy Marston; siblings, Chris, Jeffrey and Emily Marston, sister-in-law Marie, nieces Kaley and Taylor; and his extended family.